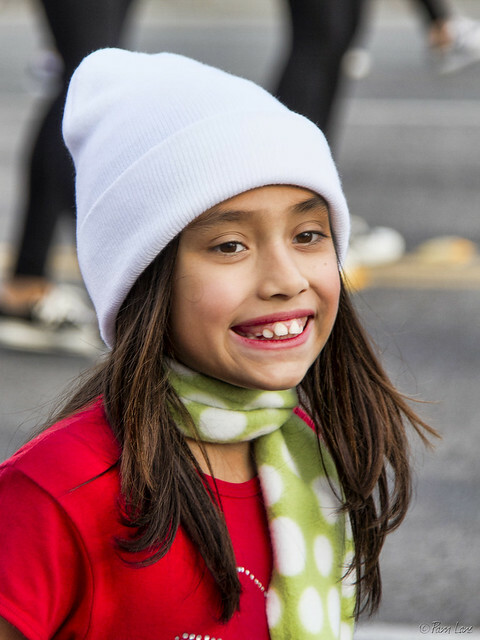 What I enjoyed most at this 63rd Downey Christmas Parade was seeing how much the participants enjoyed themselves. From this girl, above, grinning at her family on the sidelines, to the Downey Razorback cheerleaders below, everyone was having a great time. 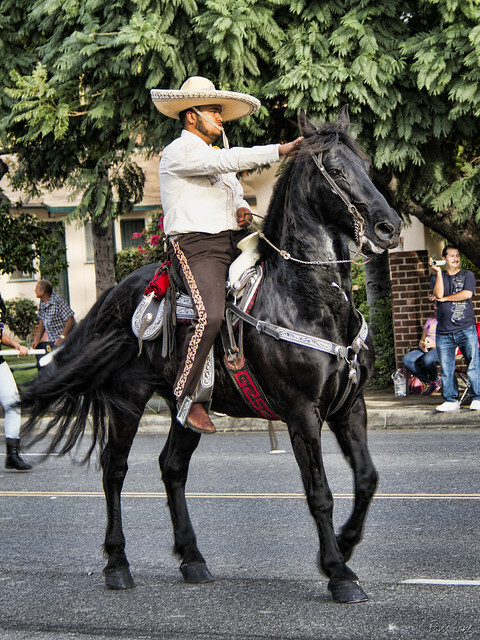 Even the horse and his rider, concentrating intensely on the horse's dance steps, were clearly enjoying every step. 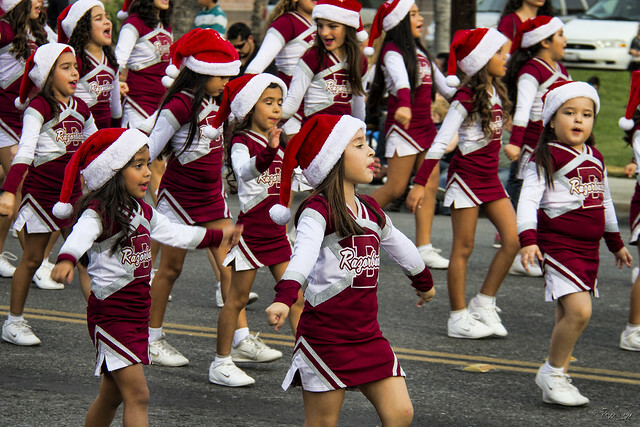 Even though it's called the Downey Christmas Parade, the participants aren't limited to just Downey. I saw banners from Montebello, Santa Fe Springs, and Norwalk, just to name a few. They all contribute to making the parade a huge success!